If you’re looking for a natural solution to prevent or get rid of bed bugs, you may have come across Diatomaceous Earth Bed Bug Killer (commonly referred to as DE). Diatomaceous Earth Bed Bug Killer is a siliceous, sedimentary mineral compound made from the fossilized remains of diatoms, which are miniscule, aquatic organisms – also known as algae-like plants. Diatomaceous Earth is the powder that’s used in our Bed Bug Killer powder and it’s one of the most popular natural treatments used today to handle a bed bug infestation. If you haven’t heard of Diatomaceous Earth and want to know a little bit more about this natural bed bug killer, then read on. The fossilized organisms which make up Diatomaceous Earth are mined around the world and can be anywhere from 12-50 million years old. While Diatomaceous Earth is almost 100% silica, it also contains trace minerals such as magnesium, calcium, sodium, iron, titanium, boron, manganese, copper and zirconium. Diatomaceous earth was first discovered in the 1830’s by a German peasant who was working on a well. Diatoms are mined and ground up to produce a powder that resembles and feels like talcum powder. Bed Bug Barrier sources their Diatomaceous Earth from Australia. 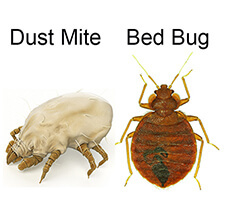 When bed bugs come into contact with Diatomaceous Earth, the powder dehydrates the bugs by absorbing the oils and fats from the cuticle of the exoskeleton. A microscopic view of Diatomaceous Earth shows a tube with holes in it but it also has very sharp edges. It’s these edges which speed up the dehydration process by cutting through the insect’s protective covering. Because Diatomaceous Earth’s action is long-lasting, and will generally only become ineffective if it comes into contact with other substances (ie dirt, dust), it can be sprinkled on and around your sleeping areas to prevent against a possible future bed bug infestation. For more information about this powder, see our Bed Bug Killer powder. Diatomaceous earth’s unique mode of action means the chance of bed bugs developing a resistance to the powder is almost impossible. Many entomologists and experts have speculated that the prevalence of bed bugs is increasing in Australia because bed bugs are building up a resistance to common insecticides. The Diatomaceous Earth used in Bed Bug Killer contains no detectable crystalline silica, which can be harmful to the lungs if inhaled. Instead, it is made up of amorphous silica which poses no threat to human health and is rapidly eliminated from the lungs after inhalation. What I like most about Diatomaceous Earth is that it’s also preventive; you don’t have to have your house infested with those creepy bugs in order to use it, you can use it as a precaution method and it’s super easy to use and incredibly cheap, I highly recommend you try this! These look unbelievable under the microscope! I’ve had a minor bed bug issue last summer and Diatomaceous Earth fought with it the healthy way. What amazes me is its effectiveness and how cheap it is. You can save a lot of money by buying this powder and applying it yourself instead of having to rely on specialized services as those guys don’t seem to care and do a lousy job in some cases. Do you guys have any input as to how small pets like hamsters and guinea pigs react to it? My daughter has two hamsters and three guinea pigs which roam free around the house and I wanted to make sure this powder is safe for them. Thanks in advance, Tony! Your pets are completely safe because there are no poisons in the Bed Bug Killer powder, so it wont harm them at all if they swallow it. I will be travelling to Australia in a couple of weeks and I know the first thing I’ll buy once I get there: a Bed Bug Killer as I’ve heard this has a more effective blend than what we have in US! I’ve been fighting with bed bugs since ever and while all the toxic products I’ve been using have had some results, they also messed up my immune system. Bed Bug Killer powder is 100% Diatomaceous Earth so there are no poisons to worry about. It is the only product in Australia that is non toxic, long lasting and 100% effective. I never heard of Diatomaceous Earth until now but if this stuff is so powerful, why aren’t companies in US doing the same as you guys and sell this more instead of those awful sprays? 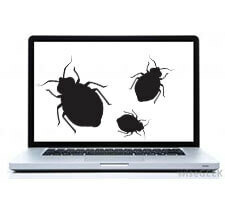 In US bed bugs are a HUGE deal and my wife is pregnant so we’re doing the best we can to keep our home pest free. This is fantastic! I’ve never heard of Bed Bug Killer (DE). I’m definitely going to get some. I travel for business every week and I’m terrified of bringing bed bugs back to my house. I’m a little suspicious as to the effectiveness of the sprays available and they smell awful. I have tried almost all the insecticides on the market and I couldn’t manage to get rid of those pesky bugs. A friend of mine recommended I try DE because it’s a lot safer and the bugs don’t get accustomed to it. What I like most about it is that it looks like talcum powder and I know exactly where I’m using it.